Ryan Blair is a New York Times bestselling author, serial entrepreneur and self-made millionaire. At just 21 years old, Blair founded his first company, which marked the start of a career that would eventually name him Entrepreneur of the Year by Ernst & Young. Now at age of 37, he has founded and sold numerous businesses for hundreds of millions of dollars, runs a global healthy lifestyle company, and is a venture capitalist. everyone, from struggling youth to thriving businessmen alike, illustrating how to turn failures into successes. In April 2014, Blair debuted Nothing To Lose: The Documentary, which follows his inspirational story as he overcomes challenges and adversity as well as his personal hurdles while building ViSalus into a household brand. The documentary has won the “Best Producer” award at the Beverly Hills Film Festival and “Best Documentary” at the Los Angeles Art-House Film Festival. His biggest endeavor yet has been the overhaul of ViSalus, the company behind the Body by ViTM 90- Day Challenge, a weight and fitness transformation platform. In 2008, as CEO, Blair went all-in, personally investing his last million dollars on a new business model that would later revolutionize the 118 billion dollar direct selling industry. In just 21 months, ViSalus went from 600,000 to 30 million dollars in monthly sales, and in 2011, they increased sales seven-fold from 34 million to 231 million dollars. In September 2014, Blair, with his co-founders, announced ViSalus and former parent company, Blyth, had reached an agreement to sell back 90-percent of shares to the founders of the company. Blair appears regularly on CNBC, MSNBC, Bloomberg TV, CNN, and Fox. He has also been featured in major publications including Inc Magazine, Fortune Magazine, BusinessWeek, Wall Street Journal, and Financial Times. Blair took a turn in movie production serving as Executive Producer of Man in the Glass: The Dale Brown Story, an award-winning documentary about the legendary LSU Basketball Coach. Blair currently resides in Los Angeles, California with his son, Reagan. I’m the best at is identifying talent. I’m constantly hiring talented people to work for me or for my company, mentoring them, and investing in them as entrepreneurs. The secret to success for every entrepreneur is the people you choose to hire and surround yourself with. 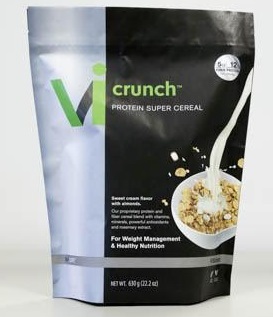 My company ViSalus is a great example. Our best field members invest in us as much as we invest in them and our best employees are entrepreneurial minded, they treat the company as if it were their own. Last year I founded HashtagOne, a VC fund that finds and invests in entrepreneurial ventures with the great potential as a vehicle to do this often. What makes me the best is experience— my years of trial and error and many successes and failures in hiring and firing, taking risks, and leading multiple companies. I’ve hired the wrong employee many times, or hired the right employee for the wrong job, I’ve invested in some great entrepreneurs, and some not so great entrepreneurs as well. I don’t think anyone should ever consider themselves the best at anything. We all have untapped potential. My mindset is, I will become even better at what I’m good at by continuing to do it, for as long as I can. Some of my personal aspirations are to continue raising a son that I’m proud of, to make a difference in the causes I’m passionate about, and continuing to maintain my personal vitality. Career wise, I want to be part of multi-billion dollar opportunities such as ViSalus and many of the other start-ups that I’m currently investing in that have the potential. I’m fascinated by many things, technology and science being the biggest ones. In the business world, I’m currently fascinated with the democratization of capital occurring as a result of the recent JOBS Act equity crowd funding rules. Everyday citizens can now invest in private start up companies and small businesses through sites like StartEngine.com. I’m very interested in seeing what the impact will be on small businesses raising start up capital. My favorite motto is one that I coined, “The path is all math.” Making decisions under fire is complicated only if we make it so. Usually embedded within every crisis is a simple equation that will lead us from our starting point to where we’d like to go. Finding it requires clearing away our emotional responses and using our logic and reason. If you want to know more about what this motto means, and how to apply it to your own life, you’ll have to read my book Nothing to Lose, Everything to Gain. My son, Reagan, will always be my favorite person. He’s my number one priority. It isn’t easy for anyone raising a child with autism; it challenges me in ways I couldn’t have imagined before he came into my life. He challenges me to learn how to teach him, communicate with him, and be the best parent I possibly can. Next to my son, my business partners Nick Sarnicola and Blake Mallen, and other entrepreneurs such as Jason O’Toole, and Kyle Pacetti who are both long time ViSalus leaders, Gary Vaynerchuk who I find personally very inspiring, and also my spiritual mentor, Eliyahu-Jian. I’ve had the great fortune to have traveled the world. Some of my favorite cities for work and for play are Manhattan and London. When I go on vacation the most relaxing places on Earth are Tahiti, Kauai, Ojai, and the Bahamas. My favorite product right now is Neon energy drink, a company which I recently bought. I’m enjoying watching its rapid climb to success. I also love John Varvatos clothing, he’s currently my favorite designer. My biggest passion is teaching, and teaching my son, first and foremost. I don’t always get as much time as I’d like with my family, it’s a sacrifice that all entrepreneurs have to make. I counterbalance this by focusing on the quality of our time together, as opposed to the quantity. If I only get an hour with him, I’ll spend it helping him learn, by example. I’m also passionate about writing; I spend my mornings writing, and I edit best when I’m on long flights. I’m passionate about people, I love having great conversations and meeting really smart people that inspire me to keep asking questions.